with a practical interactive content that demands attendees’ buy-in. All our staff enjoyed the training sessions thanks to the factual and fun structure. Lean practices focus on reducing inefficiencies and waste in order to improve quality. 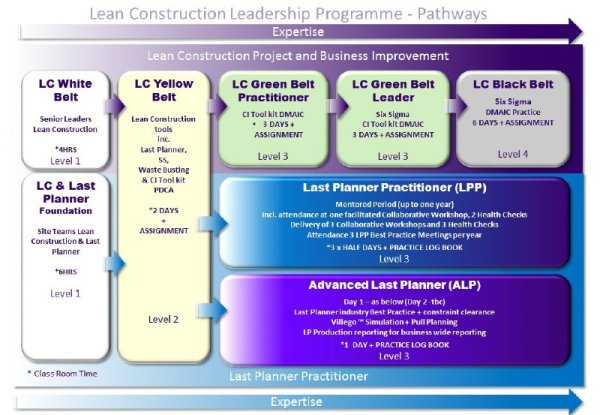 In our industry, Lean Construction involves achieving workflow improvements and efficient use of resources – time, manpower, budgets – to improve process flow and project outcomes. “We had a very intense fit out to do on the project which required a high level of subcontractor input and interaction. We decided to use the last planner system to facilitate this. The input from Sue, Amanda and their team was hugely helpful in assisting us with bringing the fit-out home for completion in the time required and to enable the tenant to move in on the promised date. “Thank you for the high-quality workshop sessions you facilitated for Watercare. Both (training) sessions were extremely well received by our projects team and served to extend the thinking of our audience beyond the ‘business as usual’ management techniques.